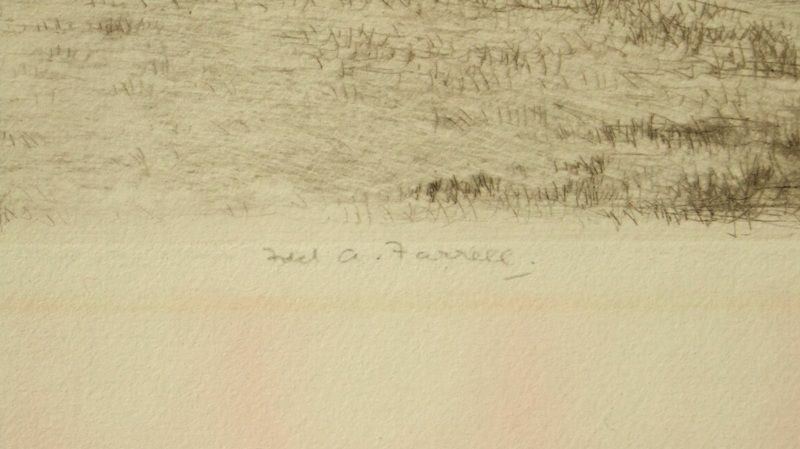 Frederick Arthur Farrell; 1882-1935, self-taught etcher and watercolourist of portraits and topographical subjects who exhibited at the Glasgow Institute, the Royal Academy, the Royal Scottish Academy, the Connell and Sons Gallery, the Fine Arts Society and Liverpool’s Walker Gallery. 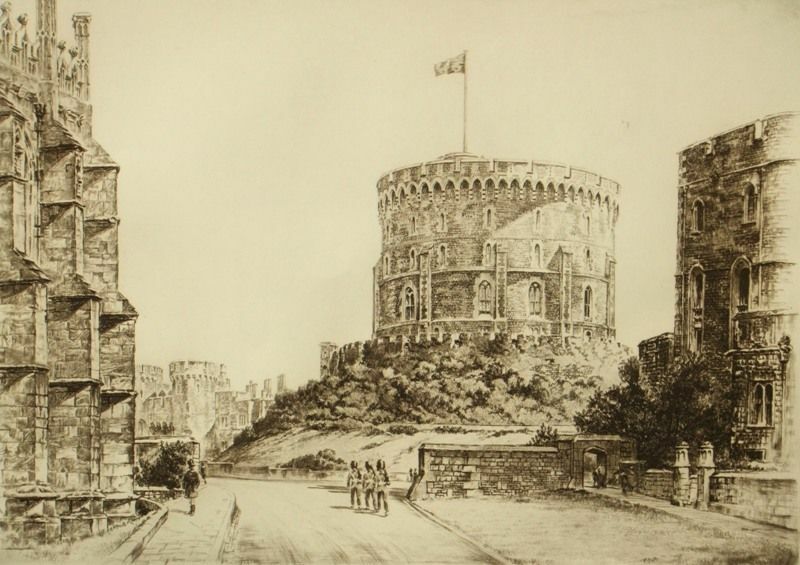 As an etcher he was greatly influenced both stylistically and with advice by Muirhead Bone. Originally, he studied civil engineering in London. 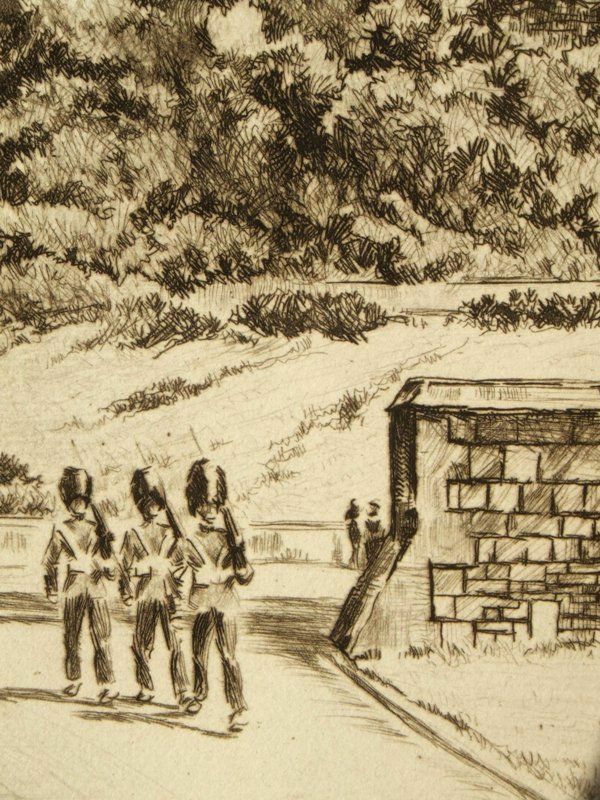 He was the Official Artist with the 51st Highlanders, 1914-1918. This etching has retained its colouring, unfaded in black ink, with excellent line detail, textures and plate tone. 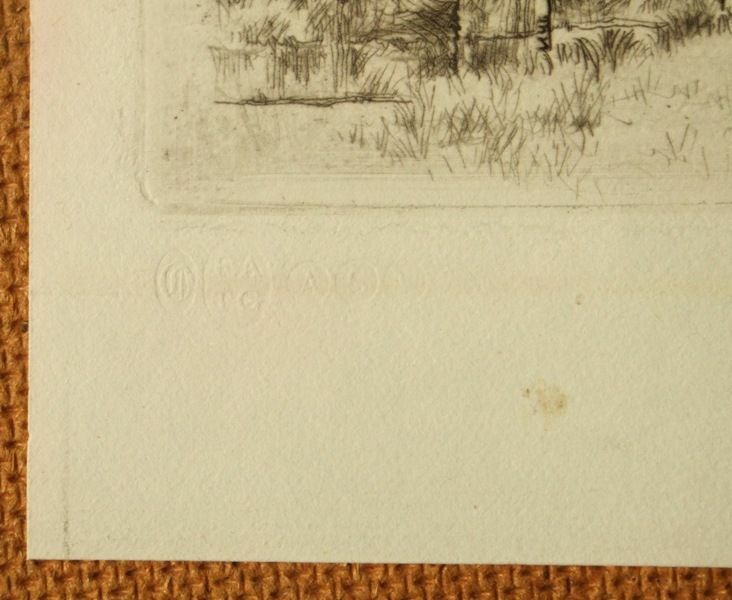 Signed in pencil by the artist beneath the image with printers proof embossed blindstamps in the lower margin. 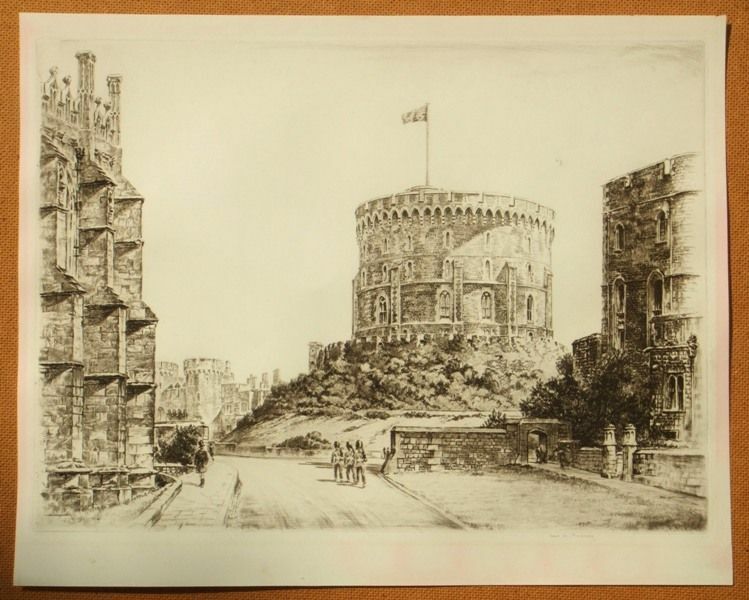 Unframed and unmounted, the condition of the image and the sheet is good with discolouring to the sheet margins and a small indentation just above the tower. The sheet has handling marks condusive with age.